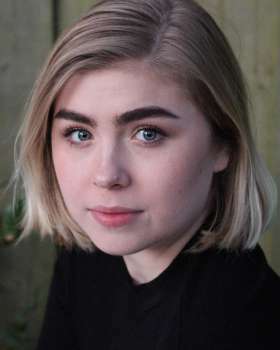 Darcy is an actor and puppeteer who trained with Toby Olié and Finn Caldwell at The Curious School of Puppetry, Little Angel Theatre. She returns to Dinosaur World UK Tour as puppetry captain until September 2019. Theatre credits include: Angelo (Little Angel Theatre); Dinosaur World (UK Tour); Running Wild (Regents Park/UK Tour), Tinkerbell / Puppetry Captain in Peter Pan (Chichester Festival Theatre), A Christmas Carol (Chichester), 101 Dalmations (Chichester), Collins in Our Country’s Good and Clementine in The Good Hope (both Riverside Theatre). Puppet design & fabrication credits include: Children Of Eden (Union Theatre), Cinderella (Creation Theatre) and Beauty And The Beast (Chichester).